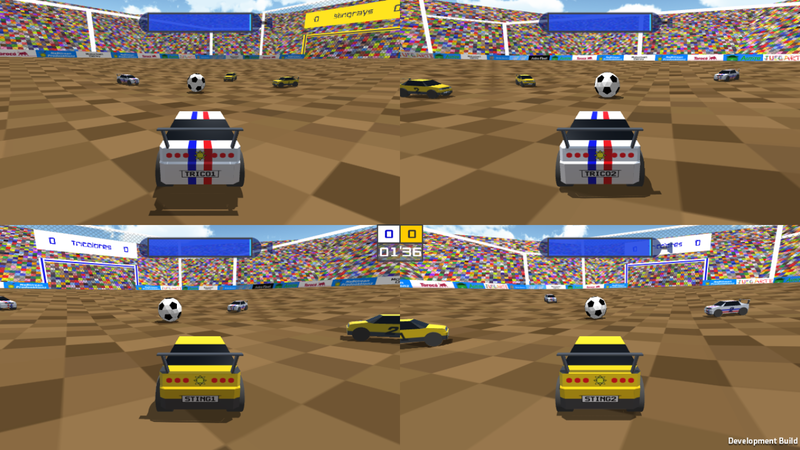 Motorball Derby is a clash between motor sports and ball sports. 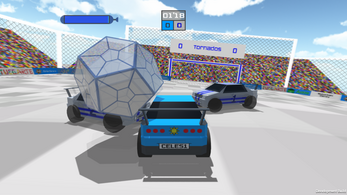 You must bump the ball with a vehicle into the rival team's goal. 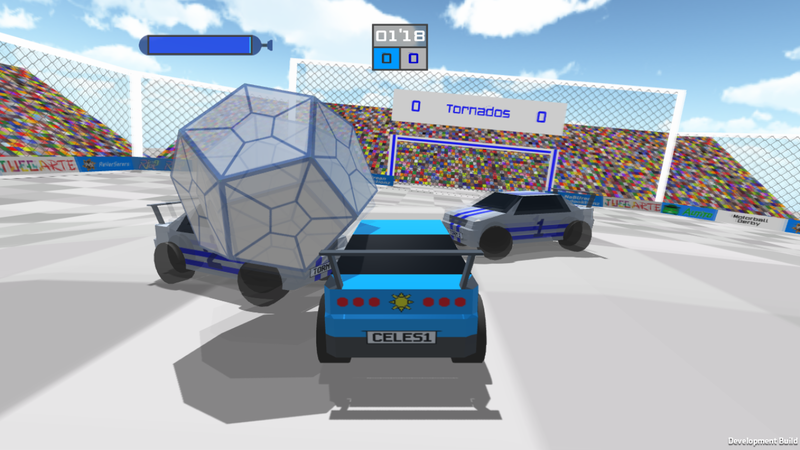 You can crash into you rivals and block them – be sure they will. Once the match starts, there's no timeouts or breaks until it's over. Can you offer more resolutions? Mine is not available: 3440x1440. Can you offer other balls, e.g. Amiga ball? 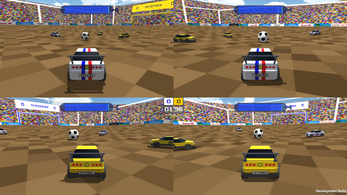 :-D Other rhan that: car should have some physics (at least twisting when bumped from the side). Could you make the ball heavier? I really love that game! I play this game with my friends! It is very fun! It's similar but different. Like magic quidditch versus muggle quidditch. how do you use the nitro boost? You change change the controls mapping in the Unity intro menu. 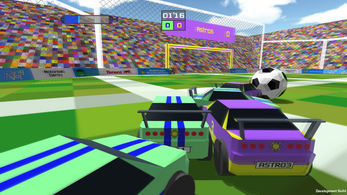 I have played Rocket League a lot, and first i thought: "Another one of those stupid RL clones..." but i'm suprised how good this game is! Nice Alternative for my friends that dont wanna buy Rocket League. There are some issues with controller deadzone! I always turn left! Thanks! Please enjoy the local or online multiplayer modes. Is your gamepad configured as digital (binary) or analog? I use a PS4 controller with analog steering. Maybe it helps it i callibrate it again? I've just uploaded a "controllers dead zone demo". Did you problem got solved? Gamepad issue 1: no deadzone (impossible to go straight forward), usually 10% is good. Gamepad issue 2: Due to crappy Unity, gamepad IDs are reversed (1P=Gamepad4, 2P=3, 3P=2, 4P=1). If it can't be fixed, can you make a gamepad number selection in controls menu? Favor 2: an option to activate handbrake instead of brake when accel+brake buttons are pressed. Glad that you liked our game! We never had any issues with deadzones on gamepads. We promise to check them for the next update. At least on Windows, the last gamepad to be plugged is player 1, the second-to last is player 2, etc. Selecting the controls for each player has been in our backlog for a while. 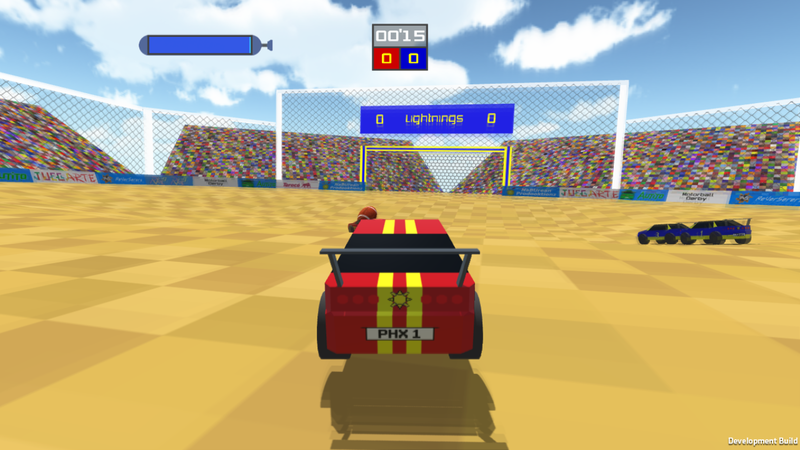 We think that having the camera close to the car gives the player a better feeling of control a speed. Having the camera far would reduce the action. Also, the field is way too big for a fixed top camera. Can you explain again the favor 2? In another words, when accel+brake button are pressed, the brake input becomes the handbrake input. As result, Accel+Brake becomes Accel+Handbrake. Ok, we'll check the accel / brake / handbrake input priorities for the next update. To clarify, the second favor description is my request of an extra selectable control mode, the inputs works well!